It was the time of afternoon in Huế when pagoda shadows start their surrender to the beginnings of dusk, when a broken ribbon of golden light falls on the Perfume River from a candle lantern sun hanging low in a hazy silk sky. 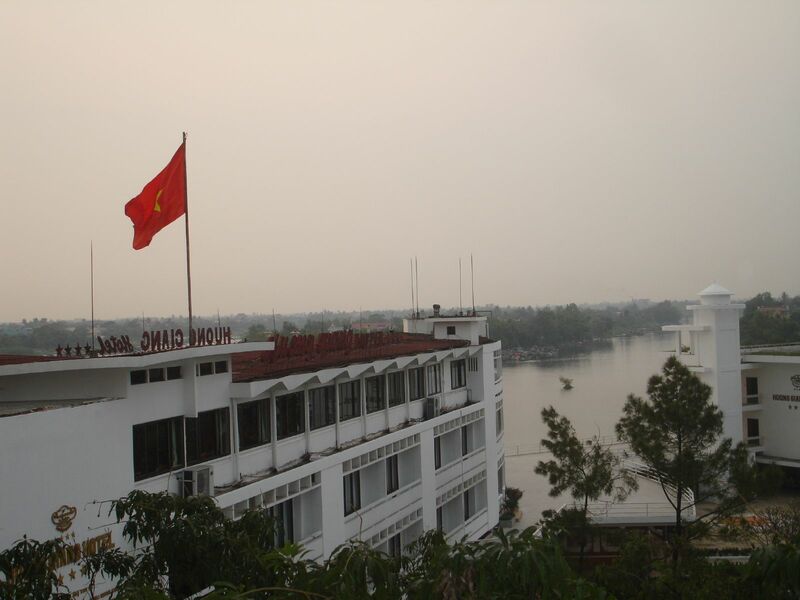 For a third time, he would miss the slow, sweaty fade to grey, passing time in a small, incense thick room with no windows in a wing of Huong Giang Hotel. They breathed together, staring up at the ceiling. The massage table was just wide enough for both of them, side to side on their backs and heads tilted together, as long as nobody shifted or wiggled. Some of Thi’s straight, coal hair had fallen across his shoulder. Thi’s voice was sweet, almost a sigh, as she followed his gravelly lead, singing the riff covered by horns and strings in Ike and Tina’s version. That made him smile for his turn. With a dowser’s instinct for harmony, Thi shone when they sang the mid-chorus yeah’s together. ← Sake Shots: Words in Progress – My Novel?